It was a black Good Friday hearing the news of the Everest Avalanche (although latest word is that it was ice dislodging and not snow) that took the lives of 13 Sherpa’s and another 4 are still missing, leaving the death till likely to rise. The search for the missing continues today. The sherpa’s were securing lines for teams and doing load carries to Camp 1 and 2 above base camp. It is a sad and shocking reminder that Nepalese lives are effectively bought for Westerners’ safety. For the Nepalese, it a way to survive and support their family each season. As I read the news last night emotions swept over me, leaving me feel deeply sad for all those affected by this tragedy, the families that are left behind and all the climbers currently on the mountain. It’s hard when you are climbing a high altitude mountain and you witness someone who is ill or worse yet, dead. Far from home and your loved ones, it reminds you of your own mortality. There is always a risk with what I love to do. But no more a risk than climbing into my car or crossing a busy road. For those who love the mountain the reward far outweighs the danger. It may be hard to grasp for some but it is what it is ~ to climb at high altitude you have a love for mountains that is simply, indescribable and every climber knows the risks, but the rewards they seek far out way these risks. I guess the same could be said for the Sherpas too. They long for a better life and doing this highly dangerous job, it affords them that. The reward outweighs the risk. Taking in the news last night of the devastation on the slopes of Everest, I found myself sitting in gratitude for our journey on Aconcagua back in January this year. As we had approached Base Camp, Stephen, one of our expedition guides told Judi and myself to look up. There in front of us was a snow cloud covering hundreds of meters down the slopes of Aconcagua above us. An avalanche had just occurred. It was incredible to see the power of Mother Nature, while at the same time saying a prayer that no one was in it’s path. Then fast forward to our summit day, just 450 meters from the summit out team made the decision to turn back due to avalanche warnings above us in those last 450 meters that were coming in over the radio. 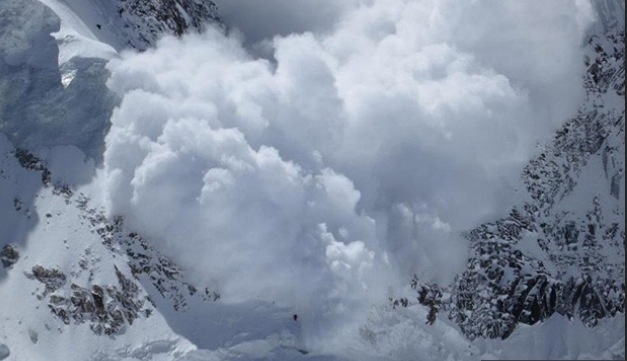 A few teams continued up a little higher but soon with 3 separate high risk avalanche warnings that continued to come in, all teams turned back. That day, no one summited (nor in the week that followed) and numerous teams totaling approximately 170 mountaineers, made if safely back down to camp 3 and then straight on to base camp due to severe weather coming in and news that camp 3 was going to be completely shut down. We were so close to the summit but when Mother Nature speaks, you listen. Things can happen so quickly that you have no control over and somehow when you are on a mountain like that it’s something you just know in your soul is the right thing to do. I’m glad that on our summit day, even though we were so close to our ultimate goal, we were all safe and nothing happened despite the warnings of an avalanche. It could have been so different had other decisions been made. Sadly, on Everest yesterday, there was no warning. My thoughts and prayers go out to all those affected by the Everest Avalanche. Those who survived. The thirteen who lost their lives. And the four that are still missing. To their families, their friends and to their teams on the mountain, as the shock wears off and the magnitude of this tragedy begins to sink in may you find comfort in the devastation and loss and may you find strength and courage to keep climbing on. To all those who I know on the slopes of Everest this season ~ Sean Walpole, Donna McTaggart, Ronnie Muhl, Elizabeth Bool, Angel, Jeff Smith, Alex Staniforth and Nick Talbot (who has Cystic Fibrosis himself and is raising awareness and money to find a cure for CF!!) ~ Listen to your body. Listen to the mountain. Stay safe. Strength to you and your entire teams! The photo below shows a sherpa carrying a load in the Khumbu Ice Fall, one of the most dangerous parts on Everest next to the summit push. They guys make the climb possible for so many. In memory of those who lost their lives yesterday and for all those who give so much! So very sad – I saw this on the news yesterday and thought of u – such a terrible tragedy – thoughts and prayers are with the families and those on the mountain. It’s a treacherous mountain. Very sad my friend, there are just no words. 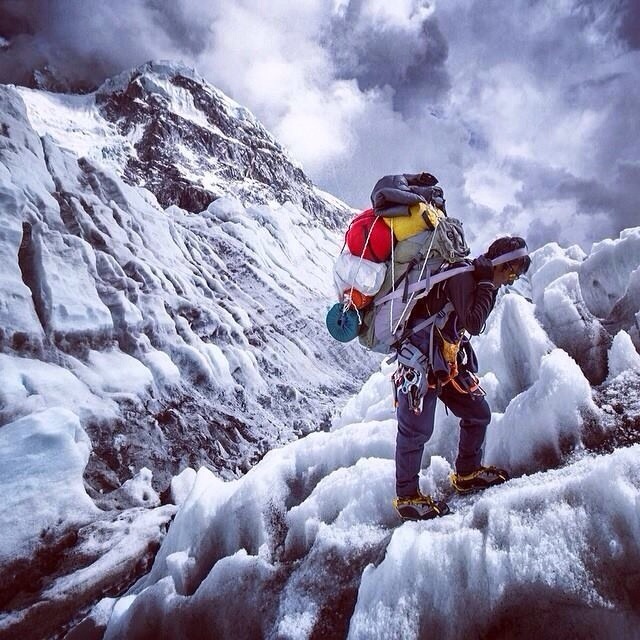 Can only half imagine what the teams and sherpas are going through right now. Such a devastating loss. Sure many will be doing lots of soul searching over the next few days. Prayers to them all.